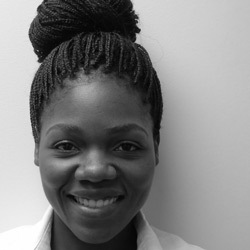 Nicole Moyo joined HE2RO in April 2014 as a Project Co-Ordinator and has worked her way up through promotions to become the Operations Manager. She holds a Bachelor’s Degree in Business Administration (Marketing), from the Institute of Marketing Management Graduate School of Marketing, in Johannesburg and is currently studying for her MBA through Wits. She has had variable work experience with exposure to a range of different industries, but recently she has worked at the Respiratory Meningeal Pathogens Research Unit, as a Trials and Regulatory Administrator. She supports the Head: Operations with carrying out financial, HR, procurement and operational support to HE2RO.